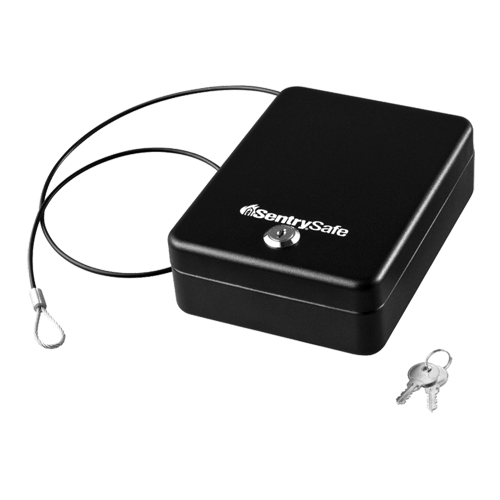 The Portable Lock Box P005K is designed with steel construction, tethering cable, and a privacy key lock for versatile, on-the-go security. 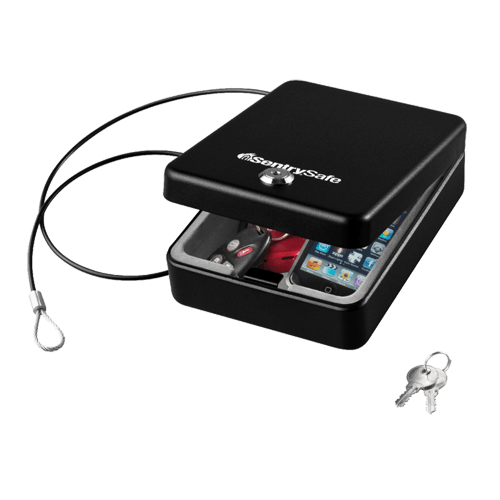 This safe is ideal for protecting your most valuable compact items including cell phones, wallets, keys, iPods, and more. Steel tethering cable allows you to attach your safe to fixed objects for added security while traveling.